The Action Cam captured the hoverboard that caught fire in Lacey Township, Ocean County. LACEY TOWNSHIP, N.J. -- Fire officials responding to an explosion at a home in Lacey Township, Ocean County on Sunday determined it was caused by a hoverboard. 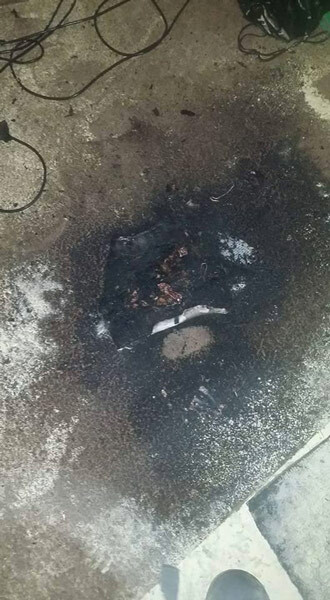 They say it appears the hoverboard caught fire while charging. 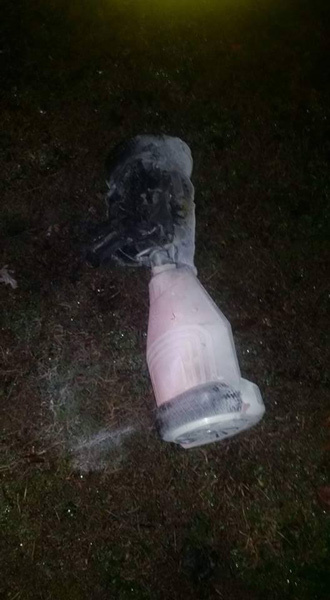 The Lanoka Harbor Fire Company posted photos of the hoverboard and the damaged carpet from the home on Facebook. They want people to check warranties and recalls; they say to not leave hoverboards unattended while charging. The federal government is now investigating 16 different hoverboard fires in 12 different states. 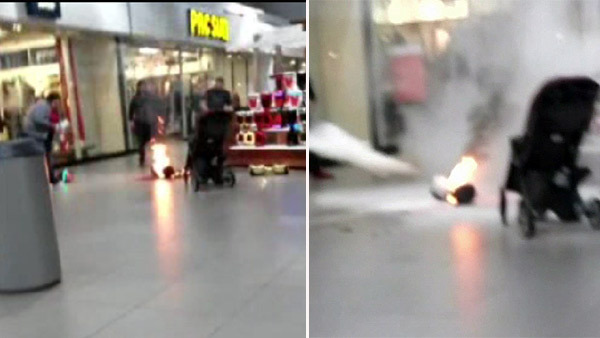 A shopper captured dramatic video of a hoverboard on fire outside of a store. The U.S. Product Safety Commission calls this a priority investigation because they know so many people received hoverboards as holiday gifts. In the course of the investigation, they have found that some models can burst into flames as a result of malfunctioning batteries and plugs. 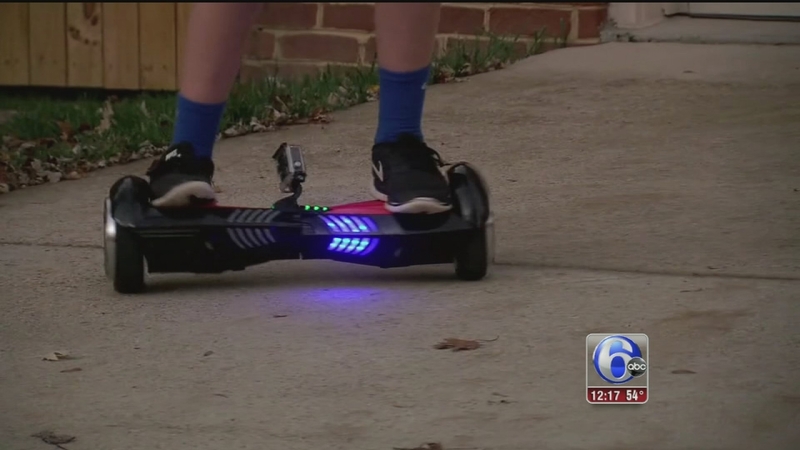 If a toy Hoverboard is on the top of your child's wish list, you may want to think twice before you buy it.